Monarch Gardens 2, Osapa-London, Lekki, Lagos state. 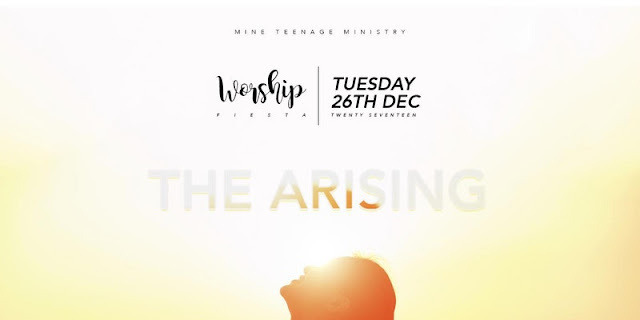 Worship Fiesta is an interdenominational worship Conference for young people between the ages of 12- 22, its holds on Boxing day, December 26th, yearly. We have members and non-members of the ministry from across the world come together to Nigeria to grace this occasion. The last worship fiesta was attended by over 1000 young people from different parts of country and beyond it held at the Onikan Stadium Lagos Nigeria. Its always a time of refreshing worship, dance drama and souls invasion into the Kingdom of God.